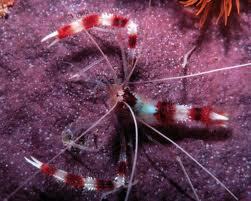 Interestingly, members of the Stenopodidae family are known as “Boxing Shrimp” because of the large pinchers on their third set of legs. 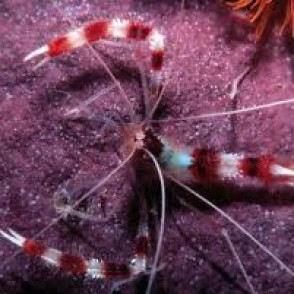 These pinchers are often held erect and give the Banded Coral Shrimp the appearance of a boxer ready to fight. 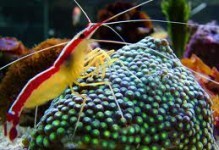 Though the Banded Coral Shrimp can be aggressive towards other Banded Coral Shrimp and smaller shrimp of different species, most are peaceful towards fish, corals, and invertebrates within your aquarium. 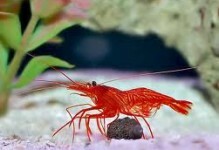 Because of its aggressive disposition towards other Banded Coral Shrimp, the Banded Coral Shrimp should be housed individually or kept as a true mated pair.